शुभ प्रभात ! आईये मंगल-बेला में मंगल विचार करें ! Grand Trunk Road was an idea that made a long term impact on what the India until Shri Vajpayee took over came to be. The Golden Quadrilateral since then put us in the next orbit. Well more and more roads can continue to be built. A silent leakage that needs desperate and immediate plug-in for the economy, which can turn the entire fortitude of growth seekers is in making our Indian Railways World-class. It has reach, it has expanse, it has an unparalleled legacy, it has customers. What it lacks is the power of competitive resource allocation and alignment of goals with the customer, i.e. our nation. Its been stuck in a bureaucracy. This bureaucracy worked well until the English Imperialists managed Railways and who were deploying every capability for creating their gain out of India. Then after independence that lesser goal also got lost. Petty theft, in comparison with the mountain of wealth and opportunities that the Railways can create, has got us all lost. b. Each zone must have three companies at least. These companies will be Railway Traffic Companies (RTCs). c. Assets of a strategic national level foot print be part of a separate group of companies that may be akin to Railways Infrastructure corporations (RICs). d. The Equity of the Railway Infrastructure Corporations must be held ONLY by the Railway Traffic Companies. This is to ensure that fair economic usage happens out of an industry wide management by objectives. No Government ownership of the infrastructure. All by private profit seekers who will compete with each other in a collaborative fair manner. Why cant cartelization sustain in such a model? The one’s who can grow competitively will seek more of the resources of the RICs becoming Quality Differentiators and those who cant grow competitively will become Price Differentiators. This segmentation that will grow naturally will keep resulting into competitive war-fare between companies. Competition is the only tool to extricate efficient allocation and management of capital and manpower. f. Let there be endless Railway services companies. Private Food Chains of Indian brands are growing heavily on understanding of local tastes, practices, habits, culture. Let those bid for providing catering services on various routes. Government should be there to only to do quality control. To prevent hafta-raj in this monitoring role too, Let there be Electronic Feedback Units on stations and within trains. g. Let there be Railway Sanitation Companies that will be contracted by each of the RTCs if they wish to outsource such works with stringent contracts for maintaining highest levels of hygiene in their trains. Penal Terms and Quality Control contracts by RTCs to these RSCs can ensure much better standards. h. Let there be endless Railways Advertising Services Companies which will compete with each other to optimize the Revenues from Advertising and Multi Media information display services on the properties of the RICs. i. Let each of these companies freely access the capital markets to find capital on the merit of their performances. … and so on and so forth. 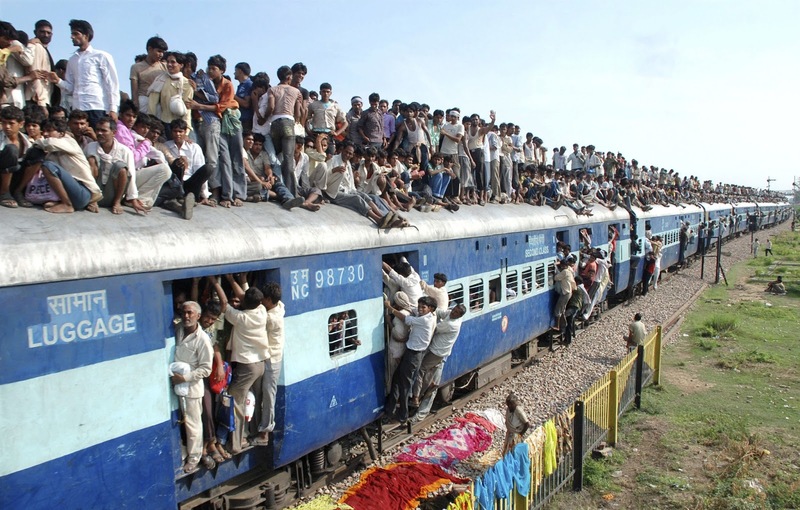 Indian Railways is too big to fail India now and too big to manage and grow any longer. Hereon, smaller parts competing with each other are the best self-regulatory growth mechanism. Let the Government of India focus on collecting fair taxes from these companies. Ensuring fair business practices and cut out a huge headache of corruption, inefficiency, nepotism, public outrage, drain on national resources. Let Railway Budget be a piece of History. Let us as a nation instead celebrate the Railway day, hereon, as you become the Prime Minister of India. Let the newly formed companies that are going to be bid by only qualified private sector participants (enough promoters’ capital (upfront 5000 Crores or more of Promoters’ capital, not collected from Public), experience in handling complex businesses, clean reputation at law etc. etc. How do we however break-up the work force, the transitioned IQ of generations that have managed the Railways? 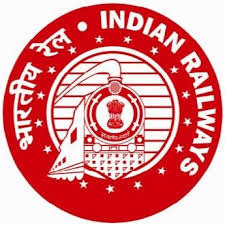 Well instead of the phony IPL cricket matches with phony bidding of spot fixers etc., let the Private sector bidders study, grill and choose which managers of the Railways they will woo to join their ranks. Let this one extremely large segment of Government Servants find the pride back in their uniforms. Let them earn as per their competence and amount of work, so that none of them ever feel the need to feel some warmth under their palm in a dark corner of a train bogey or a humid office corridor. This one stroke itself will clean up a lot of the Governance and set the urge in other businesses the Government runs to become totally private. Let the best of our Railways Managers compete with each other to find joy and satisfaction in improvising, innovating, getting acknowledged and celebrating their and every other Indian’s life. Why, would it not be inspiring to see Railway Captains flying by in private helicopters seeking to bid spare bogies for moving freight, than to just see IPL Captains flying around on endless fixations? Its common knowledge that if the ROI on the assets locked under the Railways can even move up to the GDP growth rate, India can wipe out its budgetary deficit in 2 terms of a full Government. Lokpal or Janlokpal, whichever comes by and only within the framework of Democracy, will find acceptance at the grassroots level, when those in the Uniforms, find it feasible to live in a meritocracy, in a world that rewards achievements and where dignity and pride become precious again. Theatrics of Navratnas has played out ad-infinitum, ad nauseum. Lets seek with utmost sincerity and seriousness this Param-Ratna, our Indian Railways, the engine of a Swarnim Bharat! Lets unleash our potential and scale up the Econo-kinetics in one stroke and change the course of our destiny, forever. I urge you, the British Raj created the Railways even if for their private gain, they integrated India. Now, you should seriously indulge a debate to let this Nation understand that our greater integration and glory will come from disintegrating this power-hosue of our Railways into smaller, younger, efficient units that will help us achieve in real quick time the world’s most admirable transportation System. The American Railways Boom is what created truly the foundations of an Economic Super-Power. We have as a nation humility to learn from the achievements of all others.